CD reviews: "Vivito y Coleando," "Salsa, Meringue, Mambo!" and "Bebo Rides Again"
These reviews first appeared in the June 16, 1995 issue of the North County Blade-Citizen (now North County Times). These three releases show three different sides of Cuban music. Bebo Valdés, legendary Cuban big band composer from the 1950s and father of Irakere founder Chucho Valdés, has been an expatriate member of Europe's jazz scene since fleeing Castro's regime more than 30 years ago. Conjunto Cespedes is a hard-core salsa outfit founded by a husband-and-wife team of Cuban-Americans from San Francisco. And the "Salsa, Merengue, Mambo!" 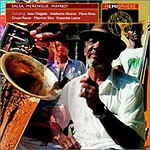 compilation is a collection of Cuban musical styles performed by groups from across Latin America. Conjunto Céspedes is simply one of the best salsa bands going. The six-member rhythm section drive the beat without letup; the horn section is as tight as any top-flight funk band's; and Gladys Céspedes is a front-line singer with great range and superb timing coupled to a passion that absolutely brings the songs to life. The band's material consists of both covers of Cuban standards and some great, danceable original songs. 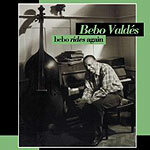 The Bebo Valdés set is more on the jazz side  but definitely the Cuban jazz side. It was organized by saxophonist Paquito D'Rivera, who played with Valdés' son in Irakere before himself fleeing the repressive dictatorship that rules Cuba. D'Rivera assembled an all-star Latin jazz cast, including himself and conga player Patato Valdés (no relation). Now in his late 70s, Bebo Valdés remains a powerful pianist and composer  check out the piece titled "To Mario Bauza" in honor of the recently deceased founder/leader of the famed New York-based Afro-Cuban Jazz Band. The bands on "Salsa, Merengue, Mambo!" 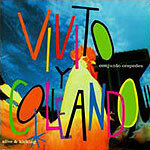 hail from Guatemala (Ensemble Latino), Colombia (Tribu Band, Grupo Raices), Puerto Rico (Isaac Delgado, Ednita Nazario), Venezuela (Maria Rivas, Mauricio Silva) and even Cuba (Adalberto Alvarez). What they all share is a passion for great Cuban music  every one of these band can flat-out play Cuban dance music. The horns snap, the rhythms roll incessantly, the call and response vocals hypnotize.